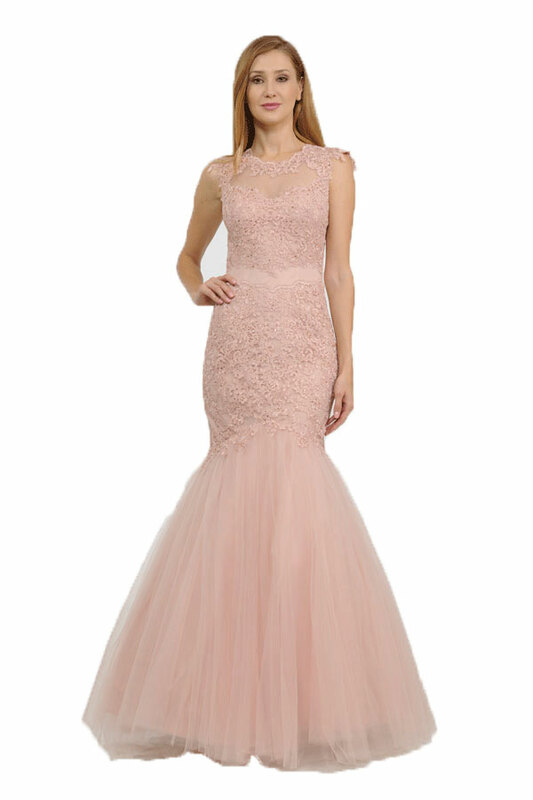 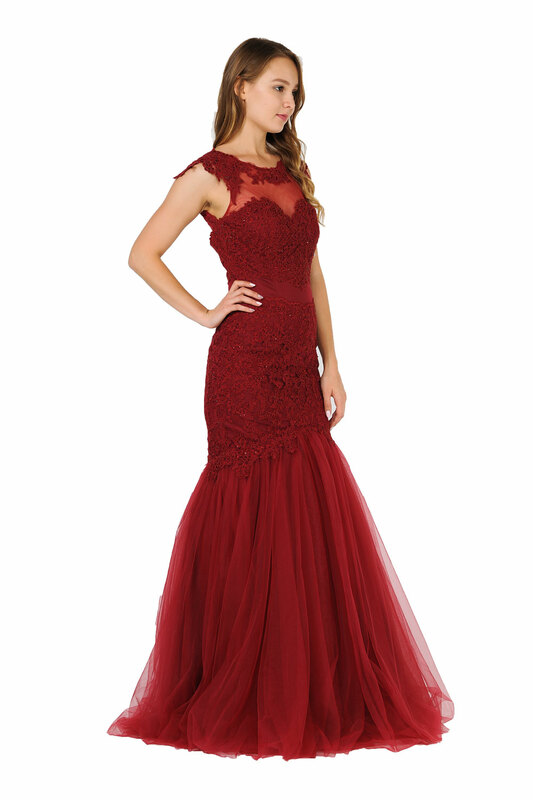 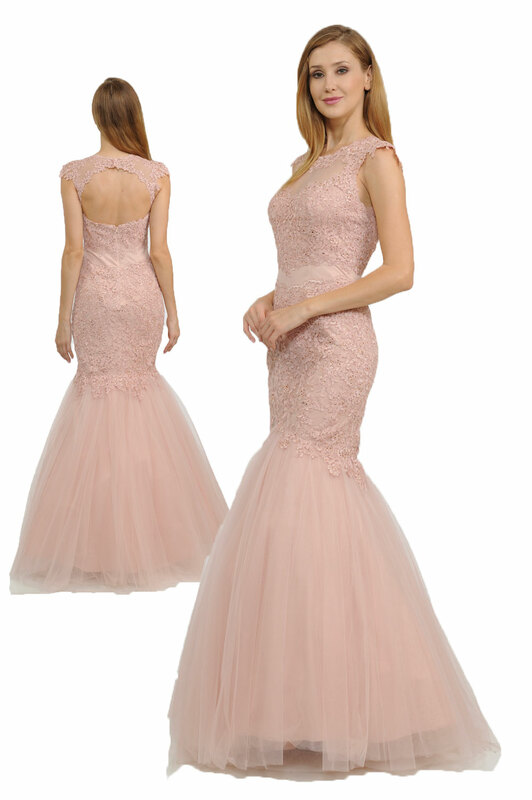 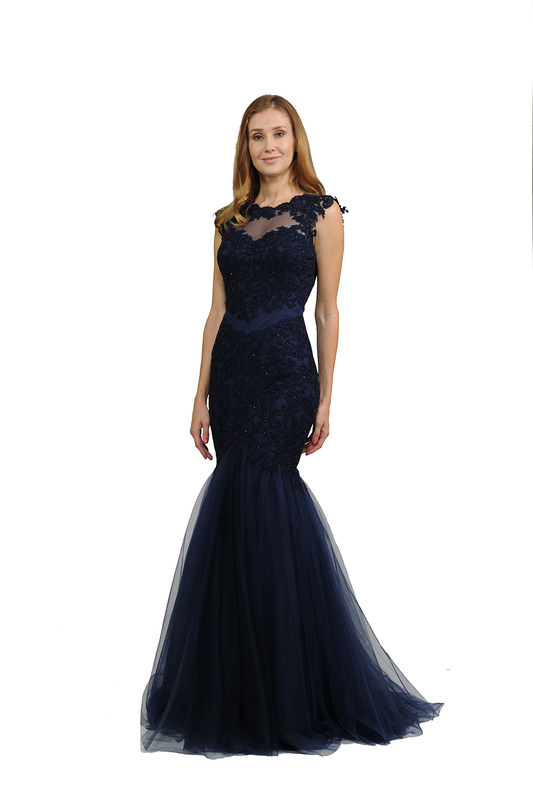 Glamorous mermaid Mesh dress embellished with lace appliques and rhinestones. 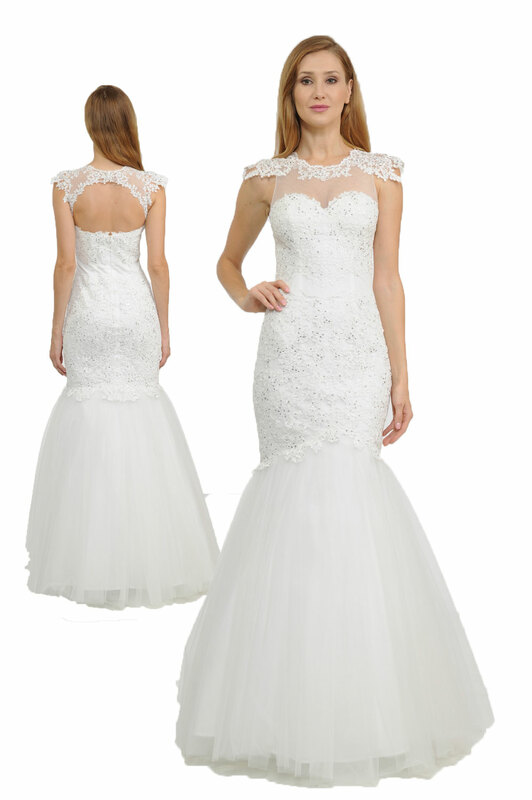 Illusion neckline adorned with beautiful lace appliques. 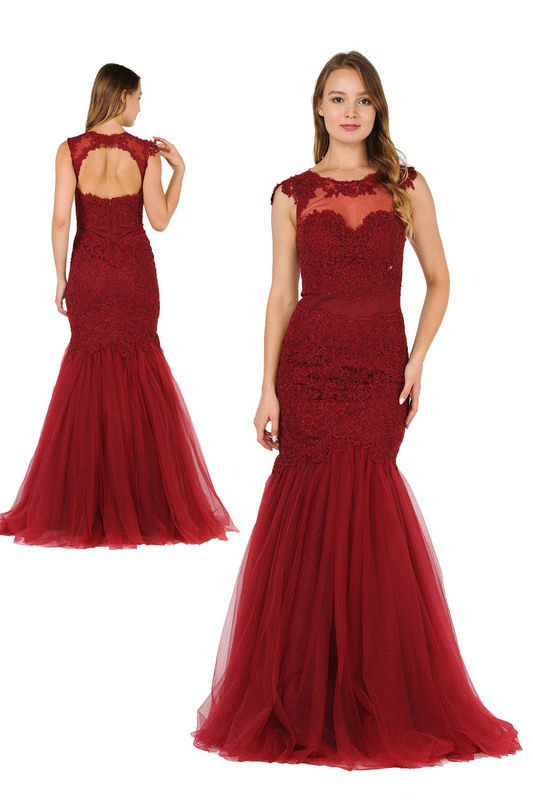 Back with cutout and zipper closure.